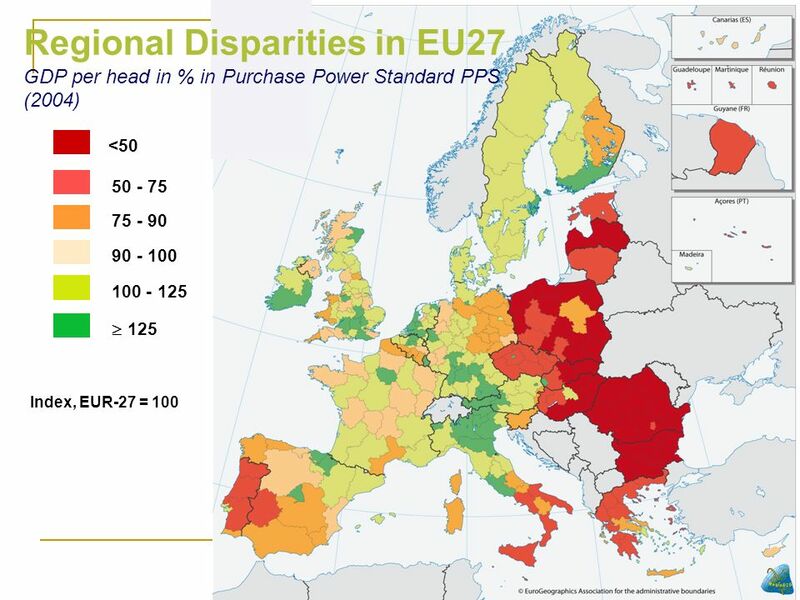 Disparities in levels of development between EU27 regions are significant and have doubled compared to EU15 (measured in GDP/head). 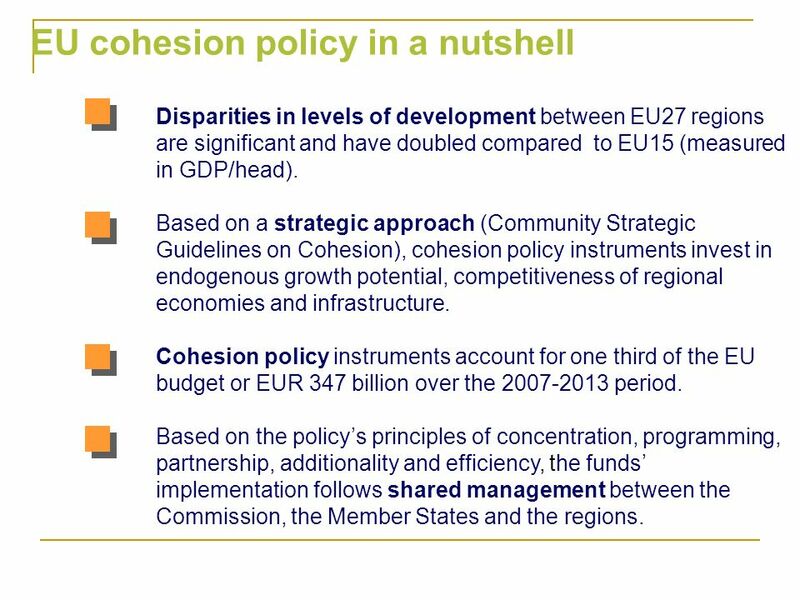 Based on a strategic approach (Community Strategic Guidelines on Cohesion), cohesion policy instruments invest in endogenous growth potential, competitiveness of regional economies and infrastructure. 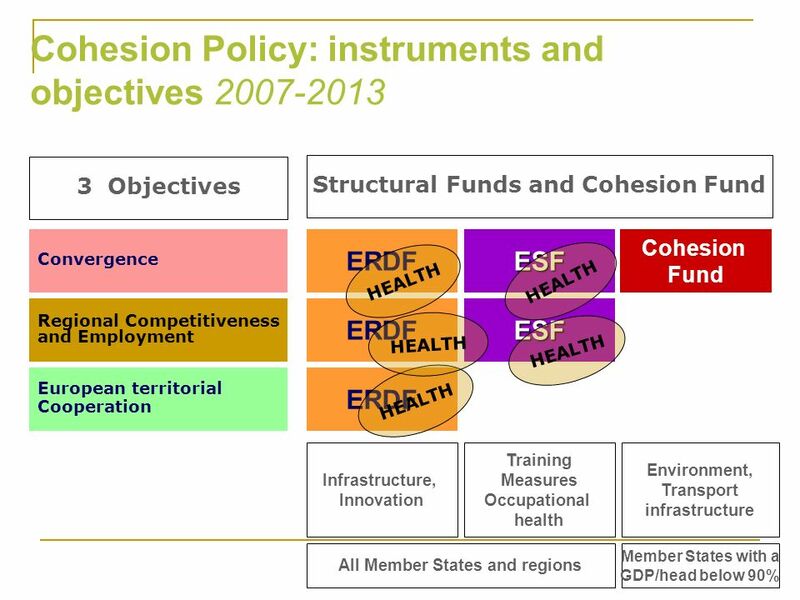 Cohesion policy instruments account for one third of the EU budget or EUR 347 billion over the period. 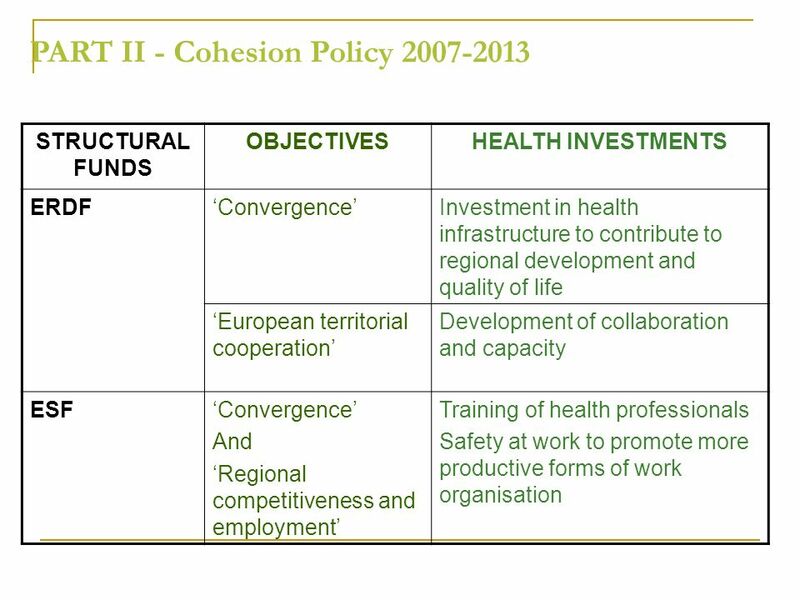 Based on the policy’s principles of concentration, programming, partnership, additionality and efficiency, the funds’ implementation follows shared management between the Commission, the Member States and the regions. 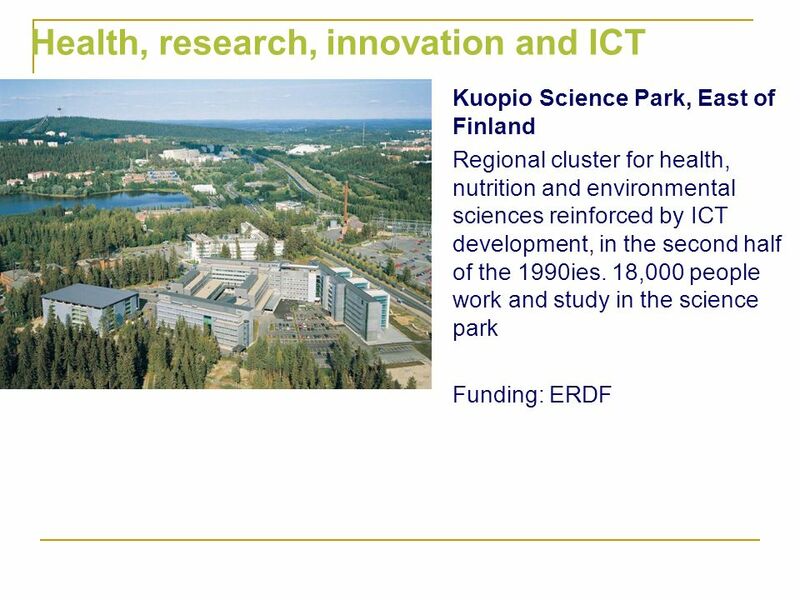 EUR Mrd. 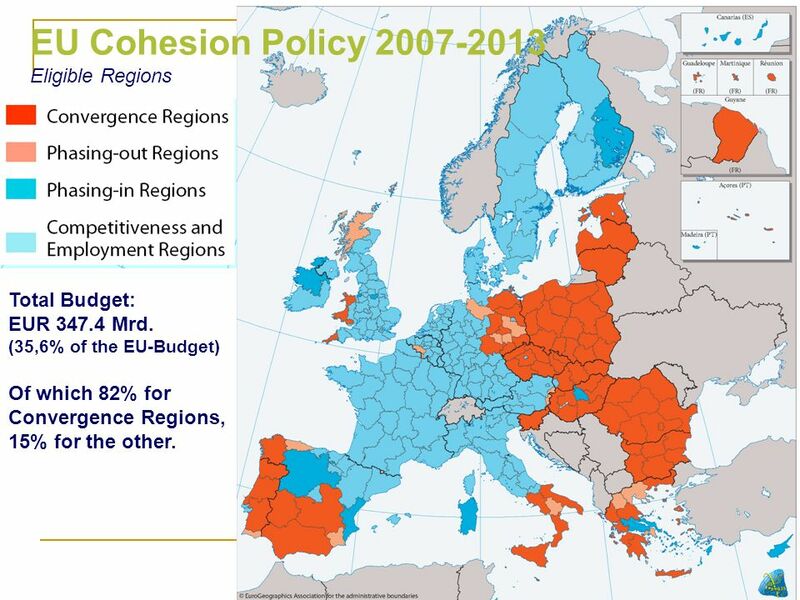 (35,6% of the EU-Budget) Of which 82% for Convergence Regions, 15% for the other. 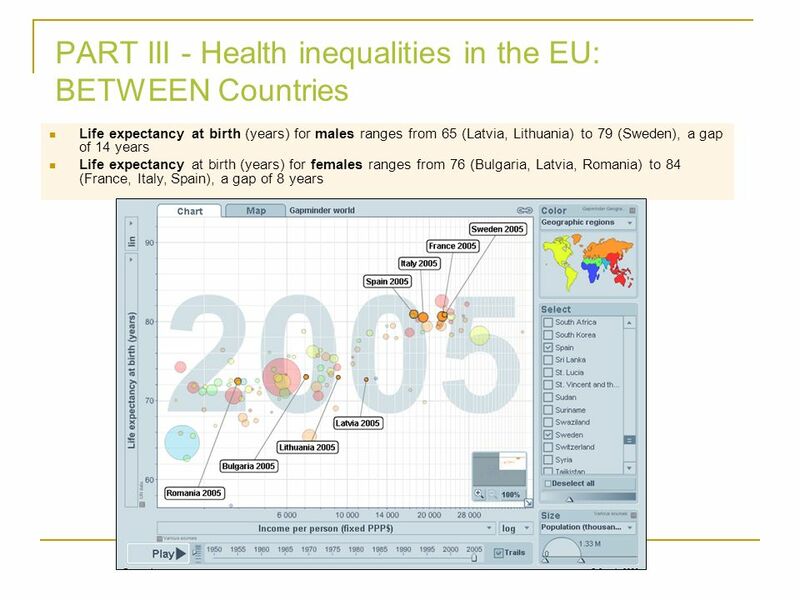 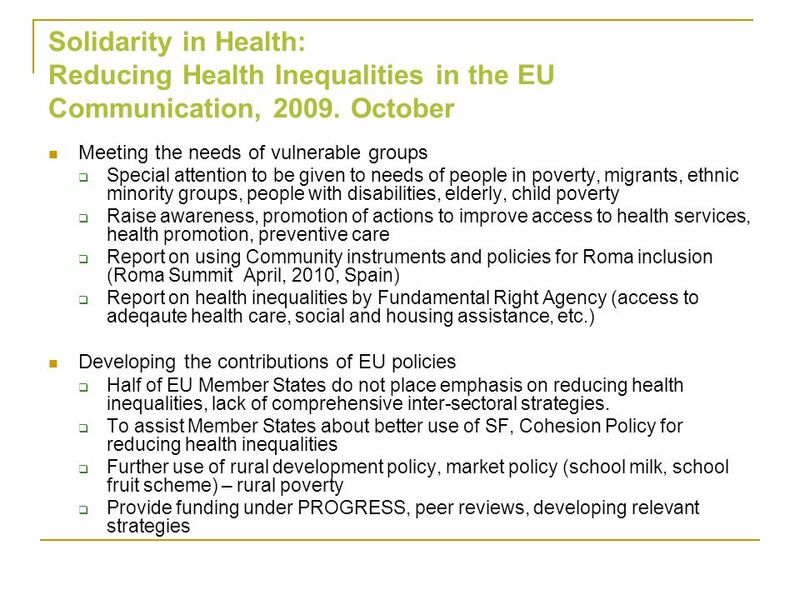 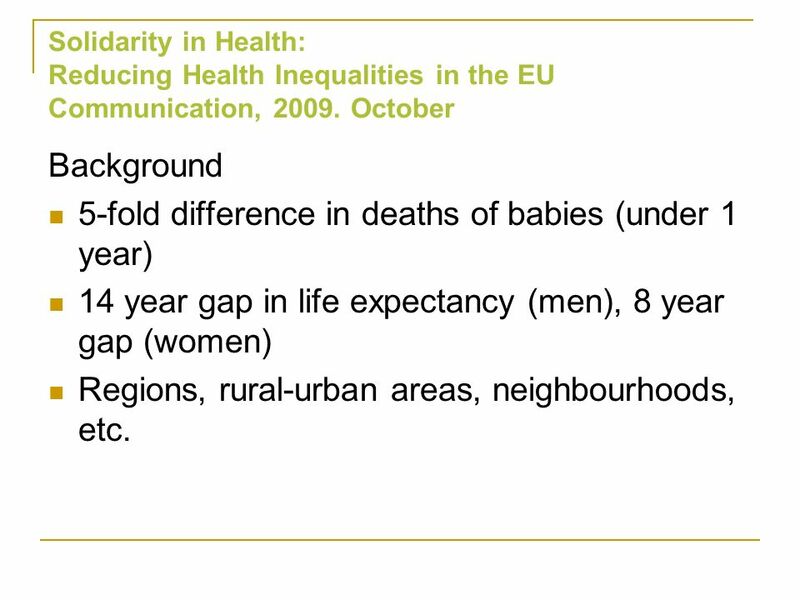 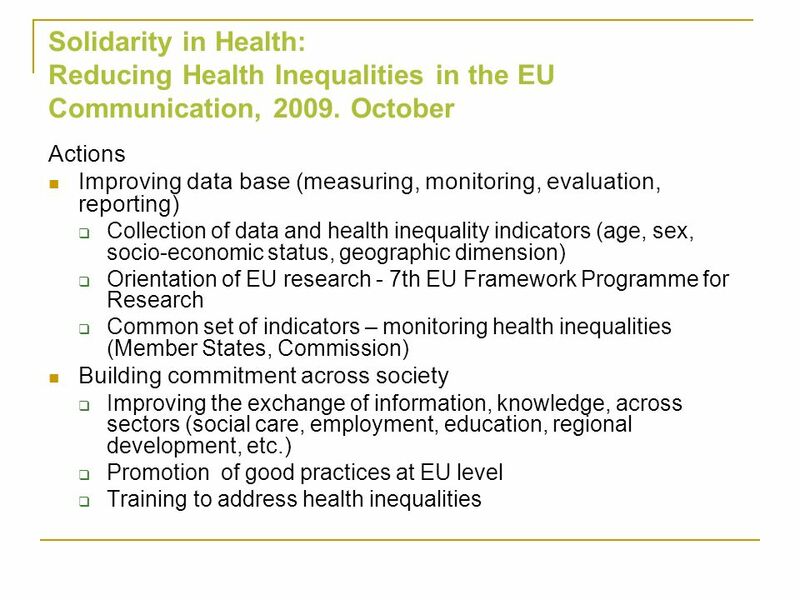 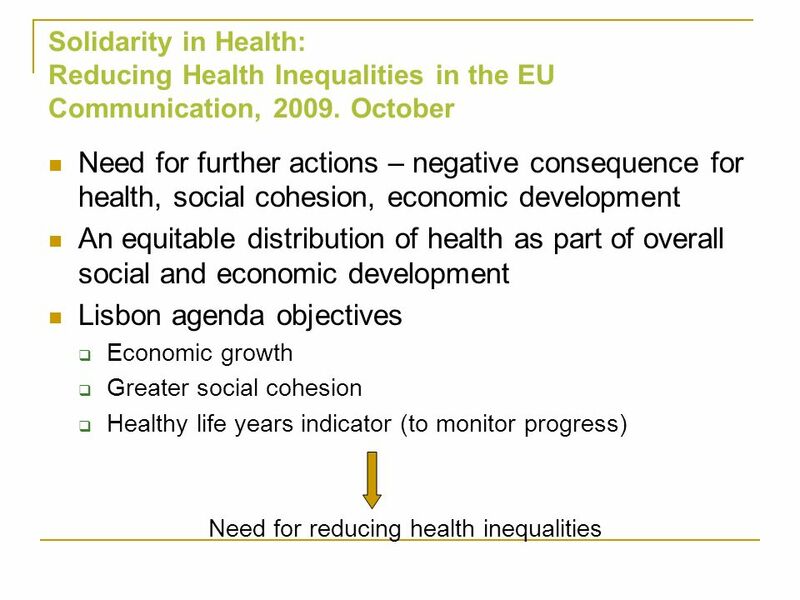 Solidarity in Health: Reducing Health Inequalities in the EU Communication, October Background 5-fold difference in deaths of babies (under 1 year) 14 year gap in life expectancy (men), 8 year gap (women) Regions, rural-urban areas, neighbourhoods, etc. 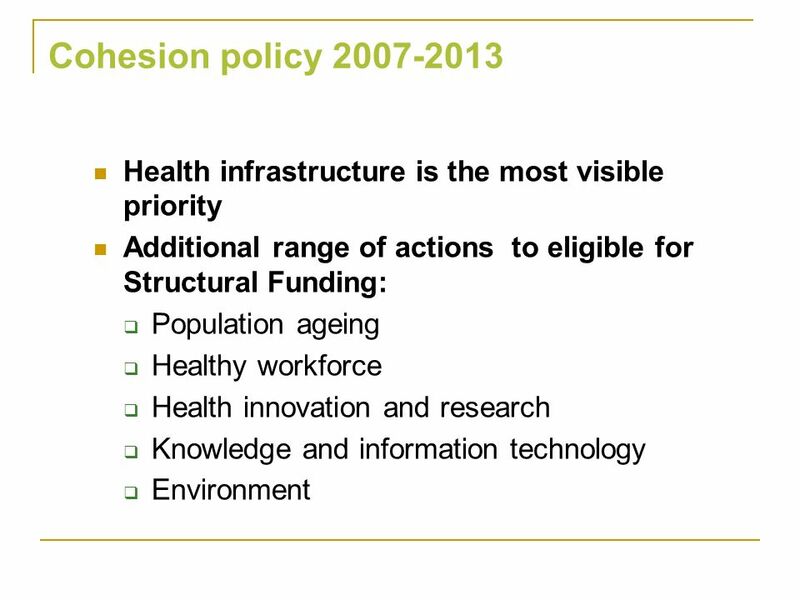 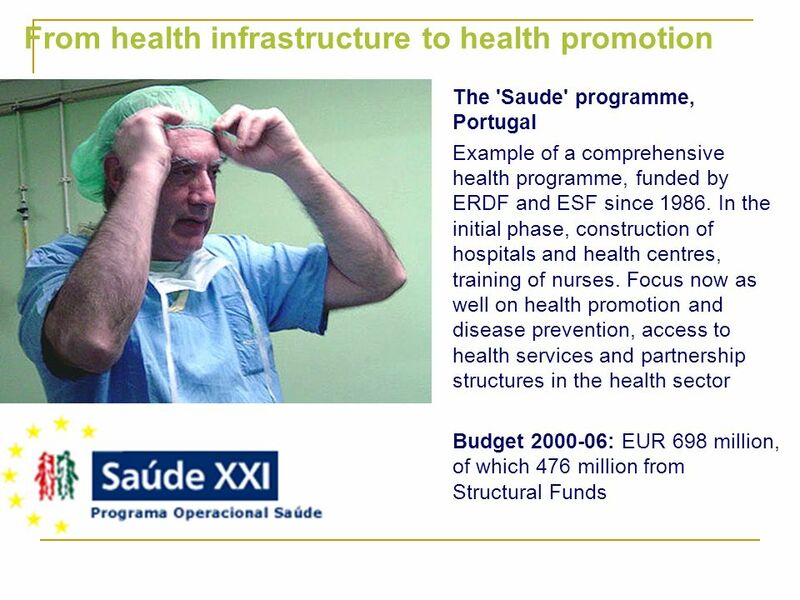 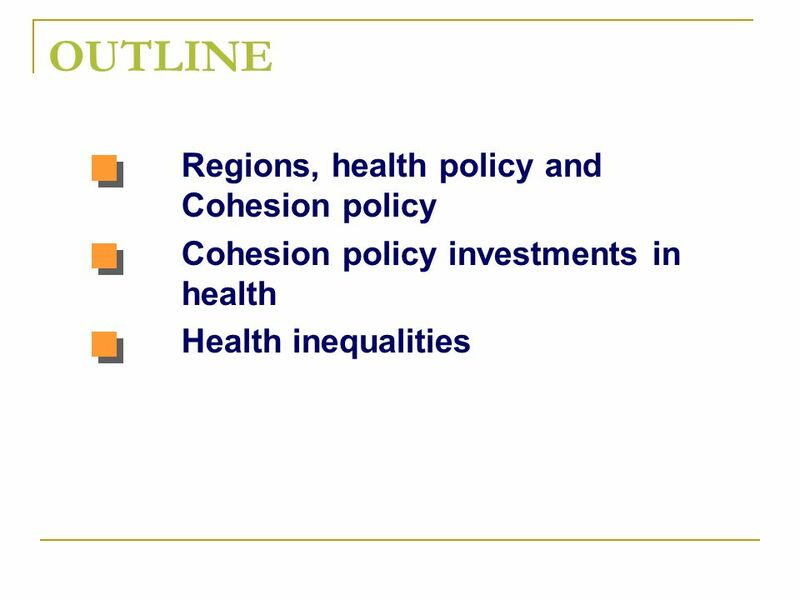 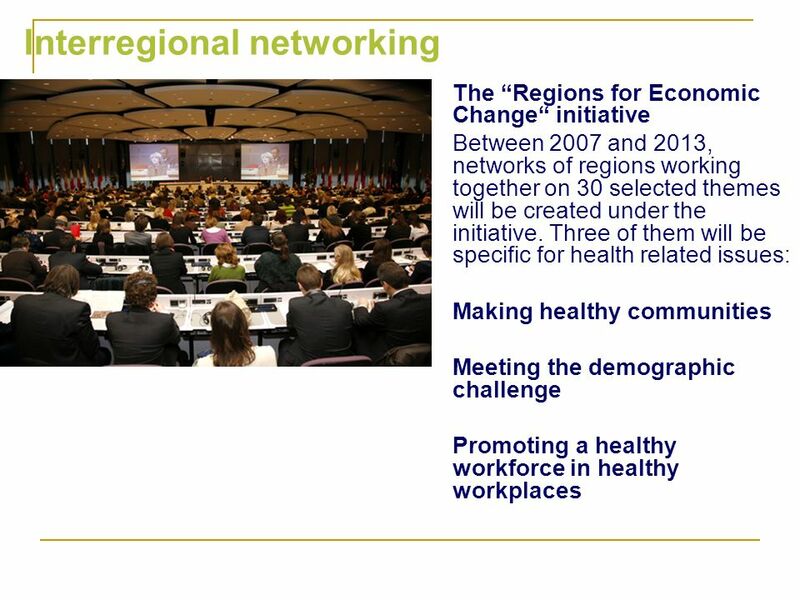 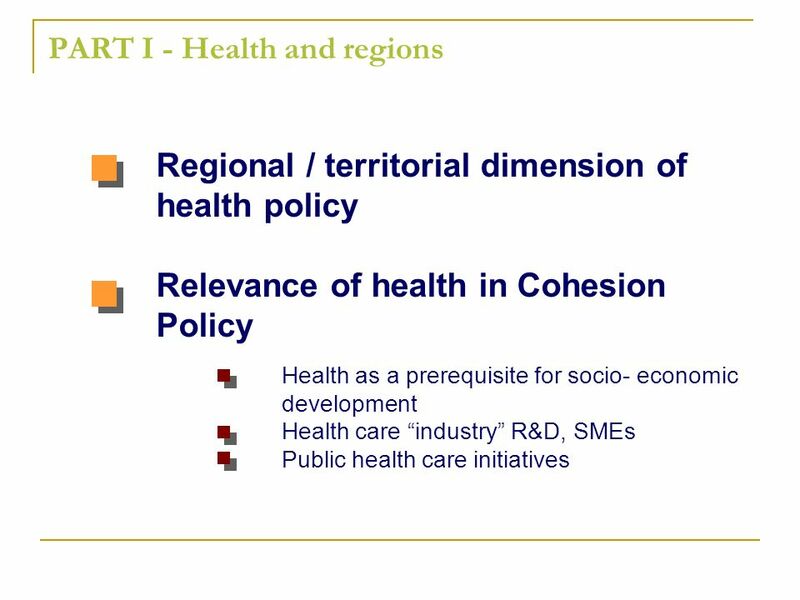 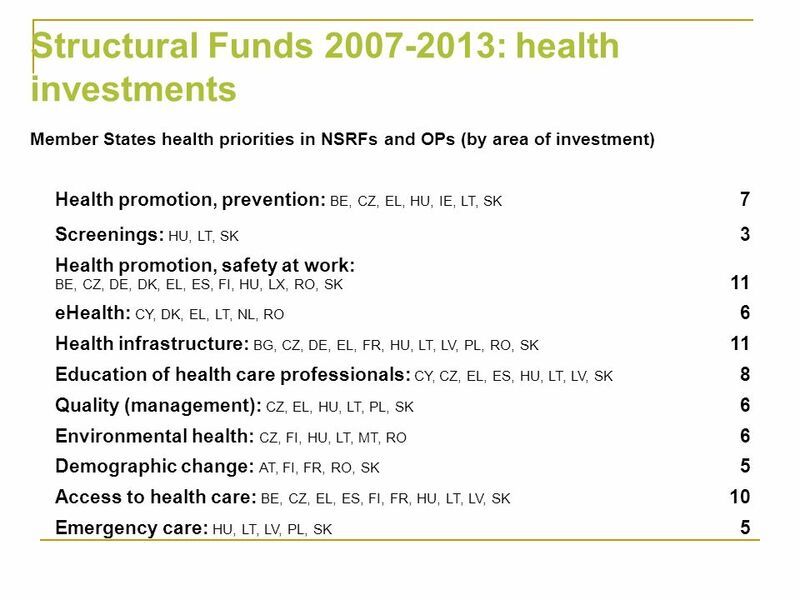 Download ppt "EU Cohesion Policy supporting health for regional development"
Regional Policy EUROPEAN COMMISSION Danuta Hübner Roadmap to recovery: the cohesion package Danuta Hübner Commissioner for Regional Policy Brussels, 27. 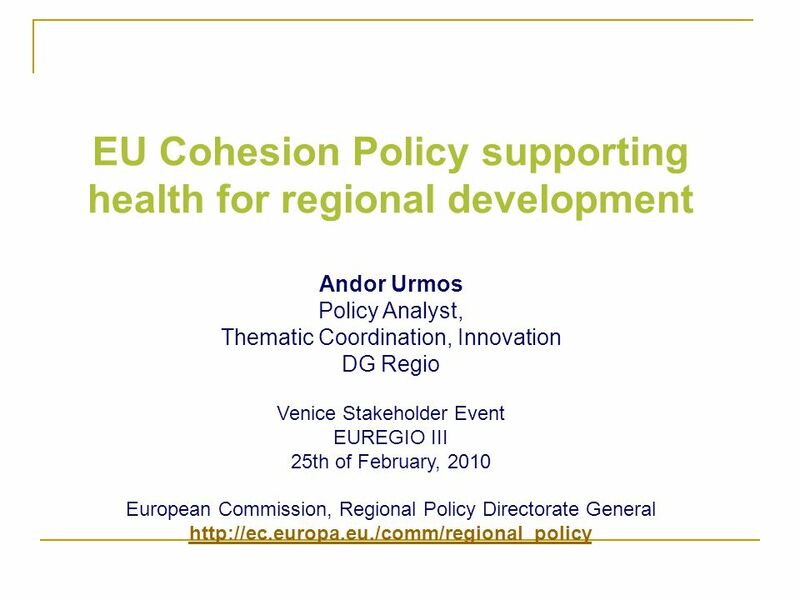 Directorate-General for Regional Policy EUROPEAN COMMISSION Cohesion Policy and the water sector Eddy Hartog Head of Unit, DG REGIO EU Sanitation Policies. 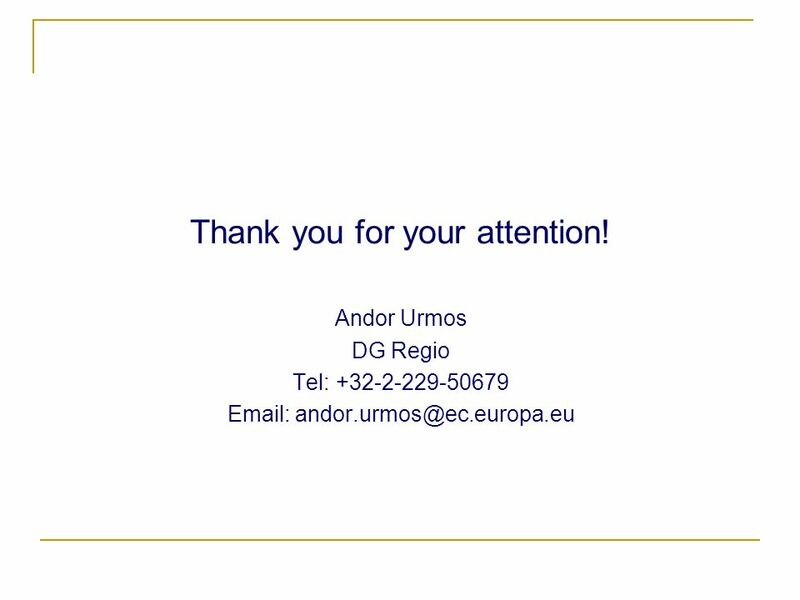 1 Introduction to the Structural Funds DG REGIO – Unit B.1 - Coordination. 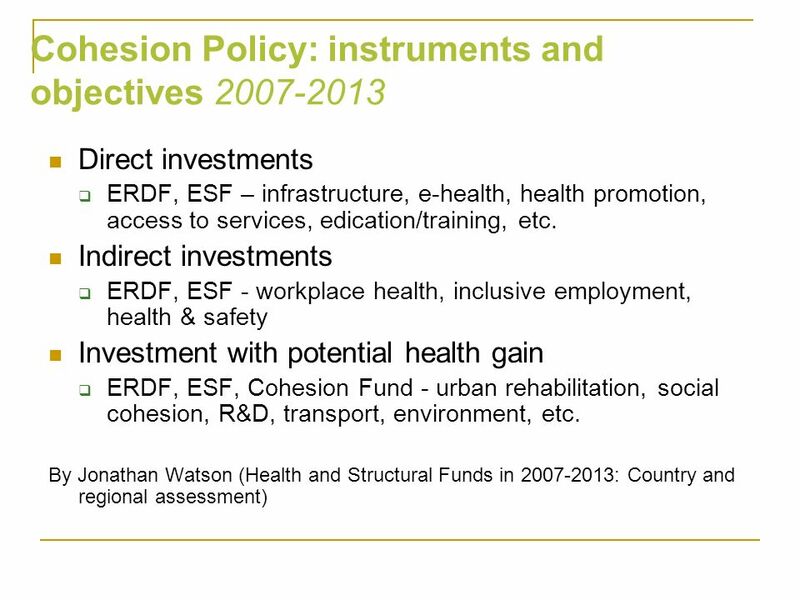 1 Regional Policy investing in ecosystems & green infrastructure for regional development Mathieu Fichter Policy Analyst Environment European Commission.